This has to be my favorite time of year in the garden. Everything is full-sized, the humidity drops and the breezes start blowing, the katydids and crickets all start singing -- just wonderful! 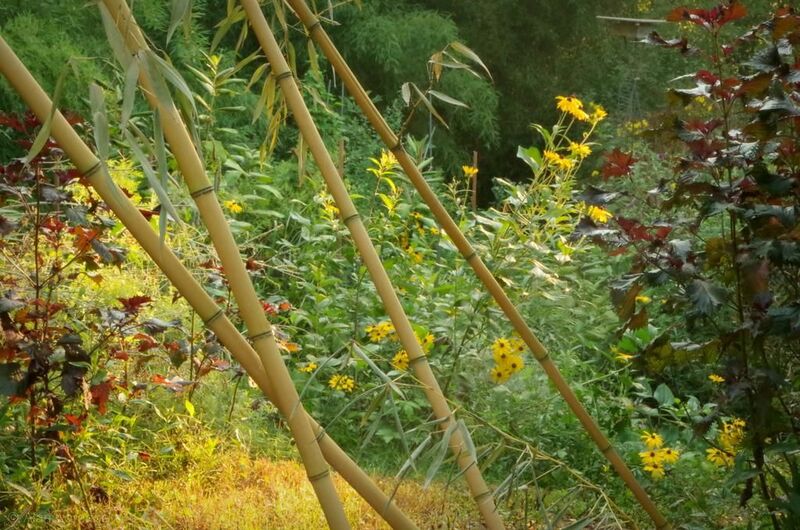 Here are just a few things that I've noticed the last couple of days, starting with bamboo canes. They're "canes" after they've been cut, and these have been left leaning for a while. I like them here as they really complement the background colors -- too bad they're blocking a path. 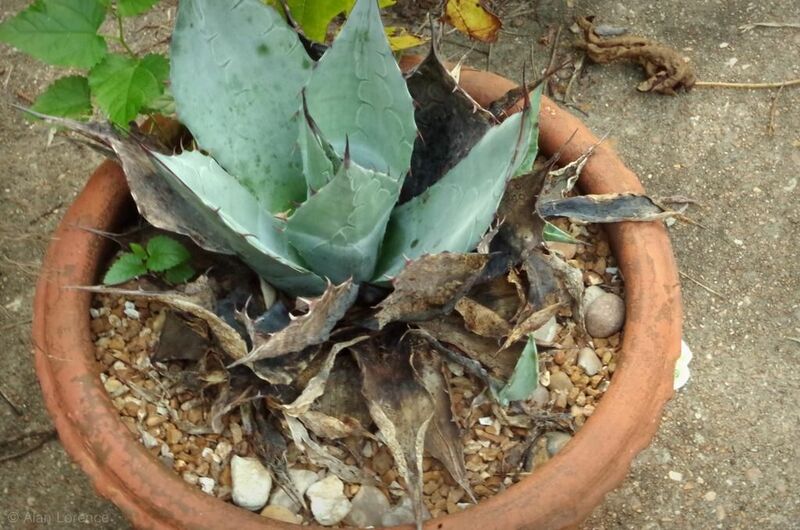 ...I'm not really sure what's going on with this Agave. At least it's dying from the outside and not the middle. What does this mean? Can't be too little water -- too much? 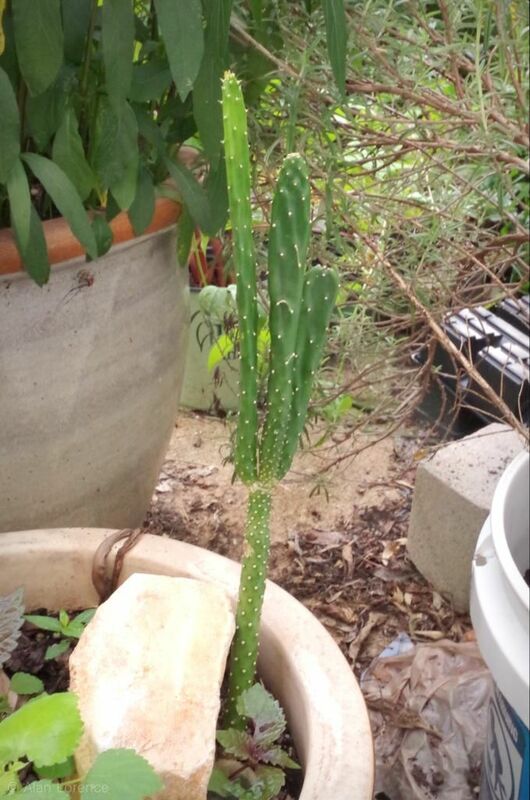 This Opuntia put up an almost cylindrical pad when growing inside with little light and no soil. 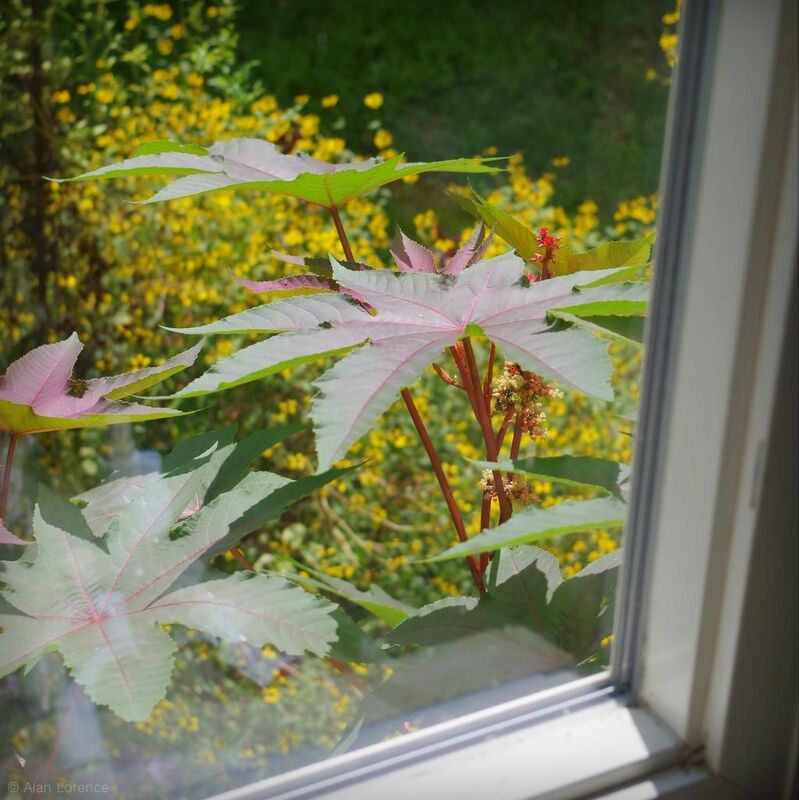 (It's not easy as an overwintering plant at my place!) The three (!) pads that this one put out are fairly cylindrical too. What is this going to look like when it's bigger? 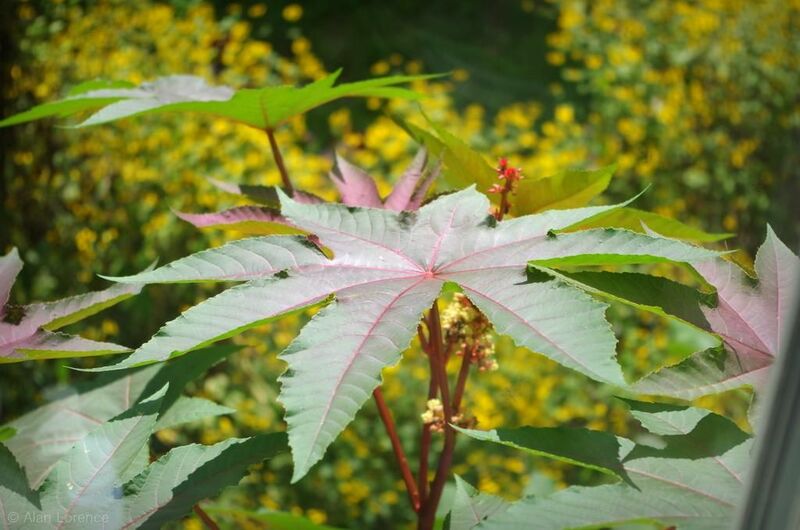 Speaking of bigger, how about this castor bean leaf? ...as it's right outside the kitchen window. I mean just inches away! So nice, especially with the backdrop of yellow provided by the Rudbeckia triloba horde. ...amazing! It just seems like a mistake that this is a Missouri native. 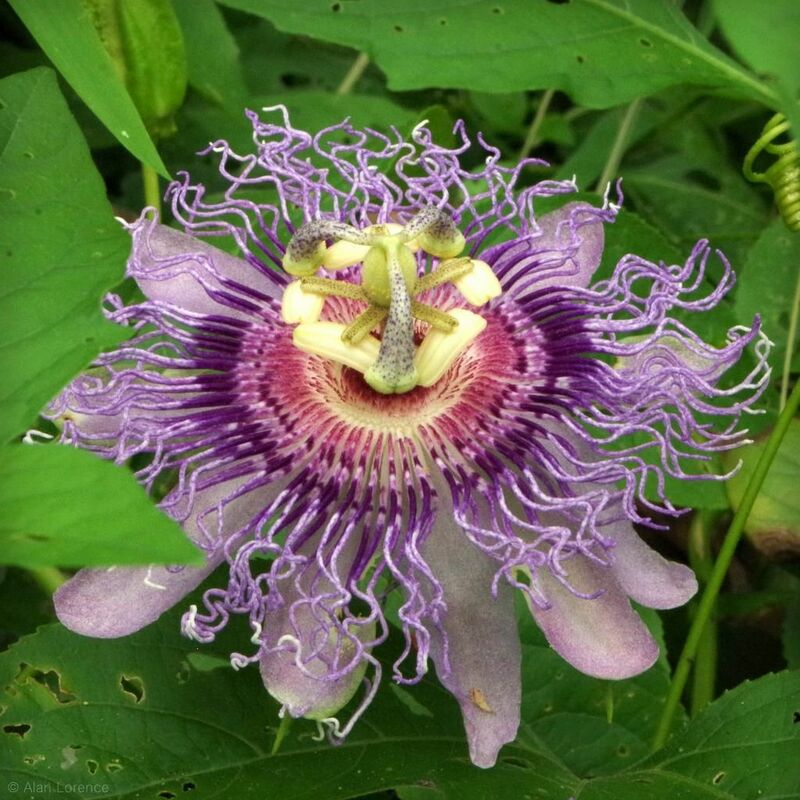 With this and Hibiscus lasiocarpos, we've got quite a tropical duo there! I apologize for brief and unreliable posts this week. Hope to back to a steady stream of posts soon. What do you do with all the bamboo canes?